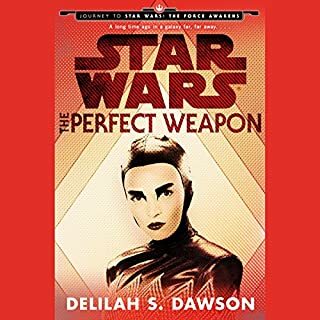 This thrilling young adult novel gives listeners a macro view of some of the most important events in the Star Wars universe, from the rise of the Rebellion to the fall of the Empire. 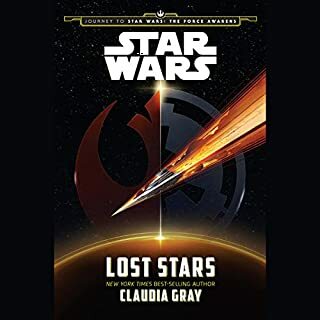 Listeners will experience these major moments through the eyes of two childhood friends - Ciena Ree and Thane Kyrell - who have grown up to become an Imperial officer and a Rebel pilot. Now on opposite sides of the war, will these two star-crossed lovers reunite, or will duty tear them - and the galaxy - apart? If you could sum up Star Wars: Lost Stars in three words, what would they be? The characters were believable. Even minor characters have a full life and are developed. Which character – as performed by Pierce Cravens – was your favorite? This is extremely difficult to say. Basically, the two main character are performed without flaws, but this extends to nearly every character—even those that you know from the movies or other books. I will be re-listening to this if other books run dry. There are plenty of mercenaries, spies, and guns for hire in the galaxy. But probably none as dangerous and determined as Bazine Netal. A master of disguise - and lethal with a blade, a blaster, or bare handed - she learned from the best. Now it's her turn to be the teacher - even if schooling an eager but inexperienced recruit in the tricks of her trade is the last thing she wants to do. But it's the only way to score the ship she needs to pull off her latest job. What made the experience of listening to The Perfect Weapon the most enjoyable? It is interesting learning about a particular person and how they interact with the major characters. 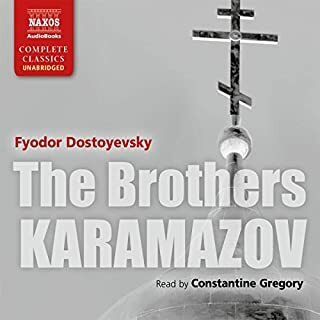 I would recommend this audiobook to a friend that is committed to hearing the story or is going to read along to to the audio. Otherwise, I would suggest trying a different audiobook. The narrator is good, but I kept getting lost in his voice and forgetting major plot point. I re-listened to some sections multiple times. Па́вел. He is the illegitimate son of Фёдор. He makes the story. Would you listen to another book narrated by Constantine Gregory? Not a story as long or as Russian. Who Done It? Does God Even Care? Dreaming of Electric Sheep, No Blade Runner Here! 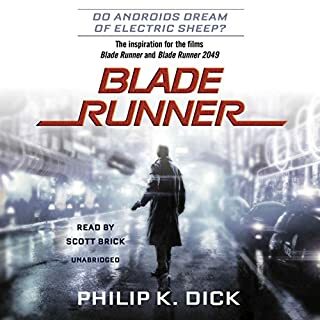 Where does Blade Runner rank among all the audiobooks you’ve listened to so far? It is in the middle, but it is still a good catch. Deckard. He is struggling with deep issues. Isidore becoming "friends" with the Andies. Of course, they are less empathetic than the religious man—Mercerism and all that. Yes, but I wrote my undergraduate thesis on the film version. I just like the story and the world. It is cool to see the original because of its differences and similarities. I like the book better, but I like Roy in the movie better. The title is "Blade Runner," but it is not actually Blade Runner. Most aficionados know this, but it is important to note. Once your finish this amazing novel, you can rent the movie (there are more than four official cuts to try!) and see Harrison Ford living the dream! 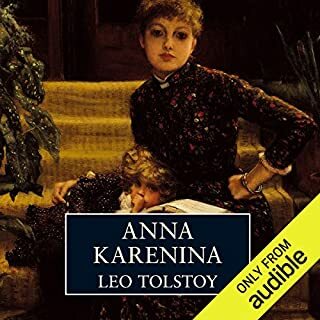 Anna Karenina, the character, is beyond description. Her story is captivating, and the other stories are equally compelling. It is long, but you can't stop listening to it. This is a difficult question. I relate most to Levin. He is philosophical. He is struggling with difficult questions. He feels inadequate. What does David Horovitch bring to the story that you wouldn’t experience if you just read the book? He does a good job with such a difficult task. He brings the main characters to life, but at some times characters "sound" the same as other characters. This is the biggest problem. If you could sum up Perelandra in three words, what would they be? Classic Lewis Becoming—A younger and rougher Lewis, and yet somehow deeper than you remember him. What was one of the most memorable moments of Perelandra? Have you listened to any of Geoffrey Howard’s other performances before? How does this one compare? Geoffrey Howard performs the entire series. He is by no means the best narrator, but he is good at his trade. You will be able to understand him, and he will not put you to sleep. The Question of Good or Evil. I highly recommend listening (or reading) the first book, Out of the Silent Planet, before listening to this book. While you may be able to gather quickly the missing parts, some of the plot will make little sense without this foundational knowledge. 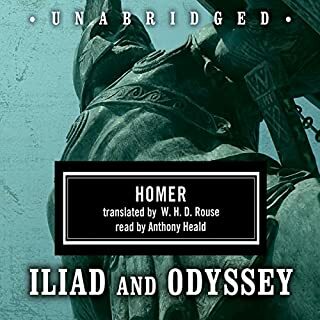 A great reading of Homer. It is engaging. I highly recommend this production. I will definitely listen to it again.